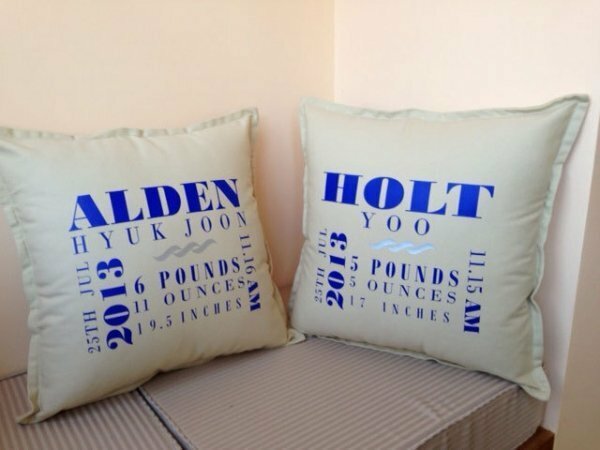 Welcoming a new baby boy? 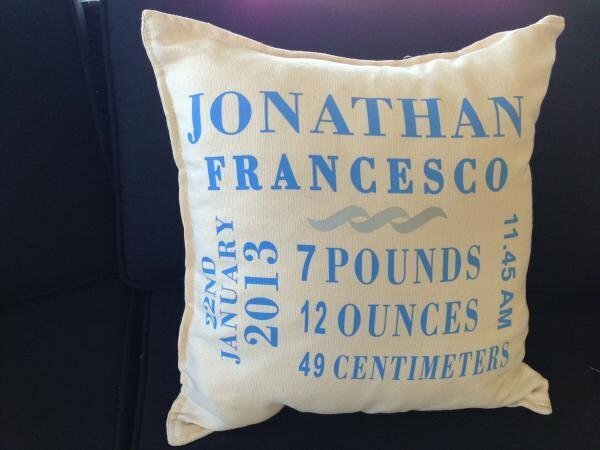 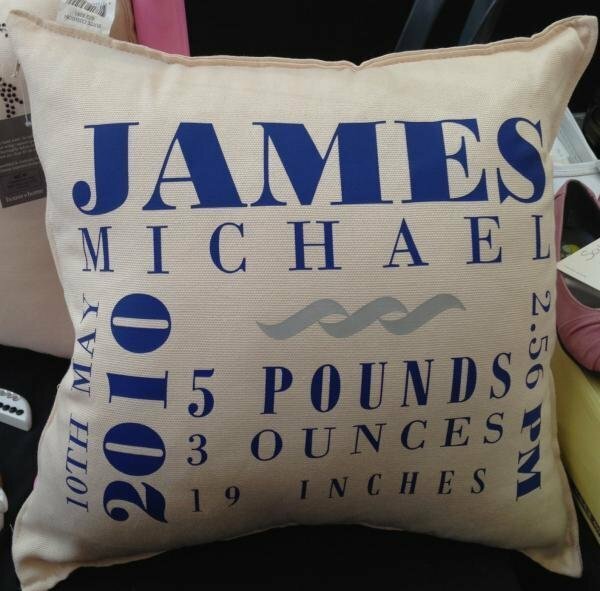 These personalised birth announcement pillows are a fantastic baby gift. 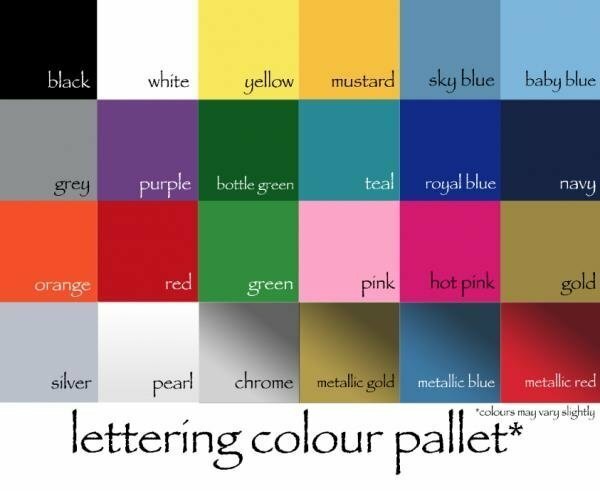 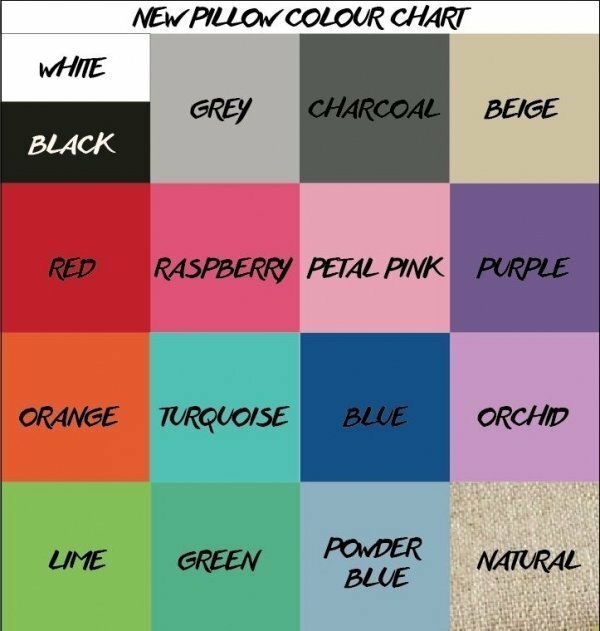 These pillows come in a range of colours.